When it comes to interiors, it's all about the #Shelfie. 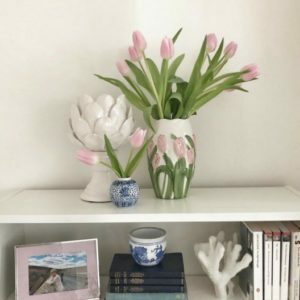 Shelf envy is most certainly an actual thing and, if you've ever found yourself swooning over beautifully curated shelves on Instagram, then you're not alone. You only have to look at our feed to know that we love a stunningly styled shelf. 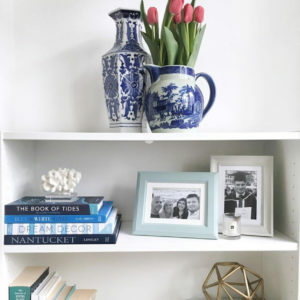 But, if you've given some time to the shelves in your home then you'll know that there is a serious art to it. And, if you're like us, you have to faff, faff and faff some more to get those perfect shelves. 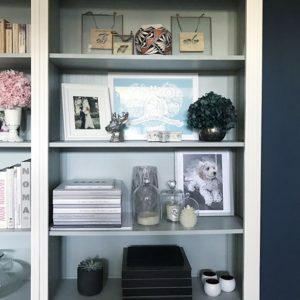 So, to help you style your shelves and to inspire you to mix it up a little, we’re sharing some of our top tips and some Instagram-shelfie- inspo from some of our amazing customers. Whether you’re all about the monochrome or want to inject a bit of colour or quirkiness into your shelves, you need to think about the balance. Think about heights, colours, and how they all mix together. Mixing old and new is a great way to get balance. 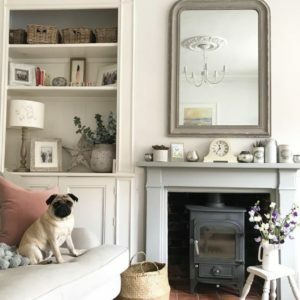 @feathering_the_empty_nest featuring the fab Boris and our Wilton Grammercy mirror! #2 – What’s your style? Consider your home decor style and work to that. Maybe you’re after a monochrome look, or a more vintage and elegant look, or maybe your taste is more eclectic and bold. Pick your theme or style and work with it. Our very own @kateahumphreys with her gorgeous shelfie styling. Here Kate has chosen pink as her accent colour (along with our coral and artichoke decorative items). Your shelves should not only reflect your style but your personality and your treasured possessions – so use what you love. Collate photographs and frames, artwork, items from your travels or just things that are sentimental to you and your family. This is a great place to start. 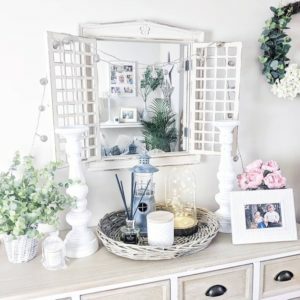 Once you’ve worked out what you’d like to feature on your items you can then add in other pieces or keep an eye out for things that might be ‘shelf-worthy’. Shelves may still need to have practical purposes – like this gorgeous ladder in @dove_cottage home. 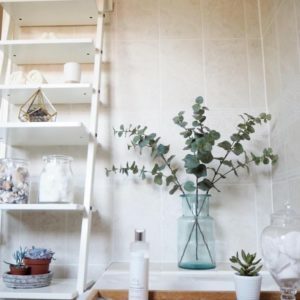 By placing a ladder shelf in the bathroom you can add glass jars and baskets with all your essential toiletries in easy reach. 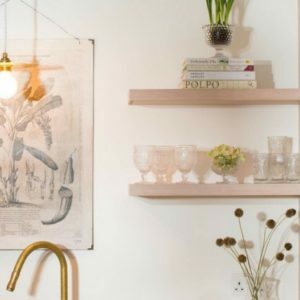 Don’t forget about styling or adding shelves in your kitchen. Open shelving is very on-trend in kitchens at the moment and is a great way to display that cut glassware, cookery books, or foodie quotes. We love how light and airy these open shelves look. @styletheclutter’s beautiful open kitchen shelves. 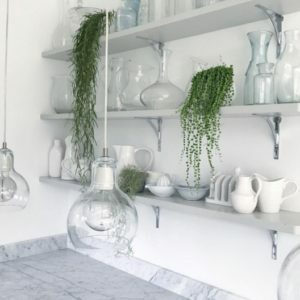 We love the simplicity of the hanging plant. 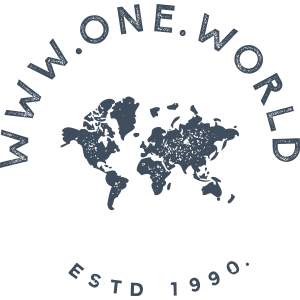 Our very own One World shelves, featuring lots of new items – including our Mcgregor glassware. #6 – A touch of nature And finally, no shelfie is complete without a floral tribute or a trusty succulent. Adding a touch of nature to your shelfie, whether that’s a hanging plant, cactus, or vase of flowers, will give it that extra dimension. And it’s something that you can change with the seasons – keeping it fresh and new. Foliage, wreaths, flowers – as styled by @behind_door_28, feat. one of our wicker baskets as a centrepiece.